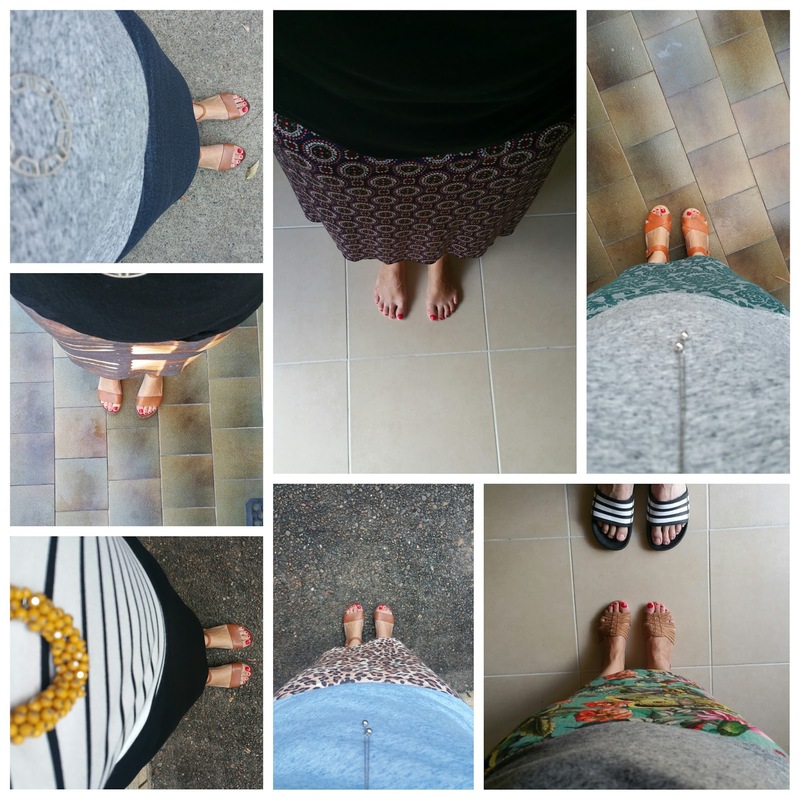 Last Monday I wore my new denim ponti Mabel Skirt to work. I was pretty happy with the simple outfit I came up with. 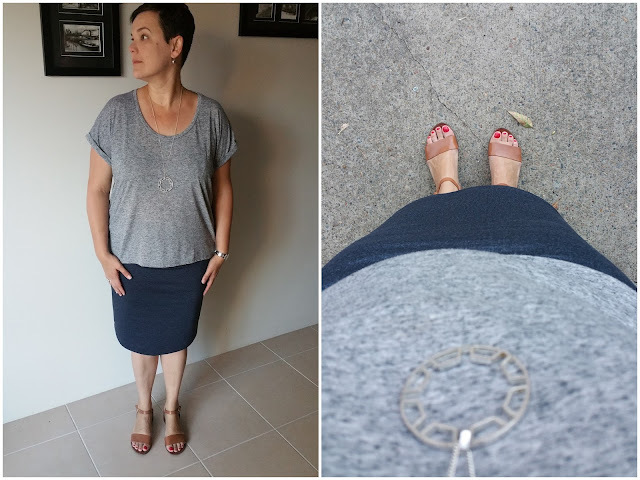 My work is fairly casual, so a me-made pencil skirt with a RTW t-shirt and sandals is PERFECT - especially on super hot days (and when the s-hirt is a linen blend). Perfect summer work outfit! 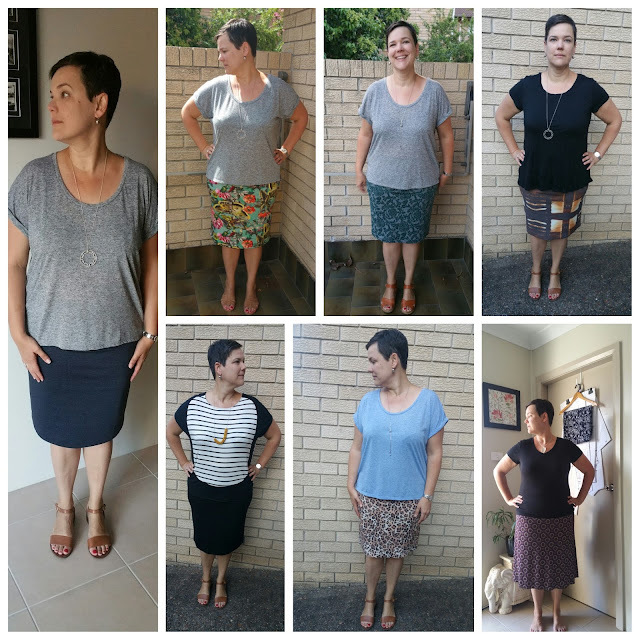 On Tuesday, as I reached for another of Mable Skirts, I realized I had made more than enough Mabel's to be able to wear a different one each day of the week (and then some)....so I did! It was SO hot here last week and I have to say the skirt was perfect for the gross humidity we've been suffering through. I look so grumpy in most of these photos - it was a rough week at work I'll tell you now! 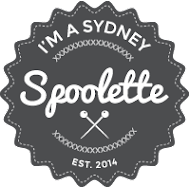 But by Friday I was smiling and happy as I was off to dinner after work, in my green skirt, with the Sydney Spoolettes. Do you tend make a the same thing over and over again - I'm not the only one, am I?